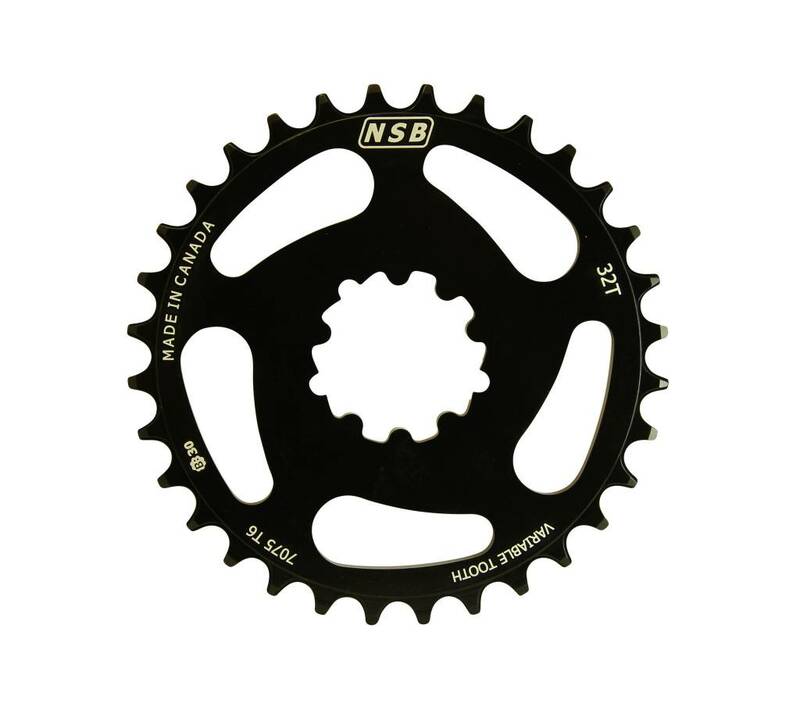 The NSB 1× Direct mount chainring allows you to remove the spider from your 2×10 crankset and run a single ring, in tooth sizes previously not available. The chainring is design to give the optimum chainline – in the middle of the cassette. This gives the smoothest shifting across the cassette and the straightest chain when in the largest or smallest cog.